Pope Benedict XVI has doffed his pope hat to social networking as he encouraged young Christians to join the likes of Facebook and Twitter during an announcement earlier today. 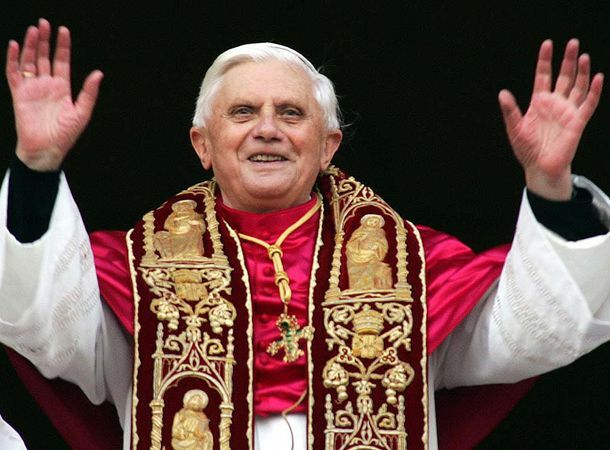 Whilst many a teenager ply their Facebook and Twitter feeds with effusive rants and scantily clad, morally questionable drunken photos, pope Benedict and the team of Vatican future proofers are hoping young Christians will use the social media outlets to praise the Lord and spread the message of the Bible. "Entering cyberspace can be a sign of an authentic search for personal encounters with others, provided that attention is paid to avoiding dangers such as enclosing oneself in a sort of parallel existence, or excessive exposure to the virtual world." Which person of global influence would you most like to virtually befriend via social networks? Let us know via T3's very own Twitter and Facebook feeds.